Nancy Holder expands the dark romantic justice of the world of Beauty and the Beast in Some Gave All. When Vincent Keller is approached by the family of a fellow soldier who went missing in Afghanistan, he vows to help them uncover the truth behind her disappearance. Meanwhile, Catherine Chandler is working on the case of a young girl so traumatized by the brutal murder of her aunt that she is unable speak. Nancy’s latest original young adult paranormal adventure is the third installment in her co-authored works with Debbie Viguie: Wolf Springs Chronicles: Savage. Please join us for an afternoon featuring the Young Adult antholgy, Beyond the Pale. Special guests include Henry Herz, the book's editor, and Nancy Holder, one of the contributors. Nancy Holder (The Wolf Springs Chronicles) joins Kami Garcia for the launch party of Kami's new novel, Unbreakable. Appearing with Nancy and Kami will be Amber Benson (the Calliope Reaper-Jones series) and Lissa Price (Starters). Celebrate Women in Horror and local small press authors at the launch party for Deep Cuts: Stories that Get Under Your Skin. The anthology consists of short horror stories by authors of all genders, and dozens of recommendation for a favorite horror story by a woman writer. Editor E.S. Magill also contributed an essay on on Nancy’s Holder’s “Crash Cart. ” Steven Woodworth contributed a story, and Kelly Dunn (AKA Savannah Kline) contributed a recommendation. The Deep Cuts gang will be joined by Erik Williams, self-proclaimed “Demon Squid” and defense contractor, whose Demon is likely to appeal to fans of SEAL Team 666, and whose Progeny involves horror south of the border. Guest Hostess E.S. Magill welcomes Weston Ochse, Yvonne Navarro, and Nancy Holder for an afternoon of battling things that go bump in the night and more. Nancy provides the introductory essay and Yvonne pens “Advanced Directive," an original tale of Zombie Terror and Robot Menace in ZVR: Women on War!, the latest in the popular anthology series created by Ashley Wood and Chris Ryall. Seal Team 666, affectionately known as “Triple Six,” is Weston’s military supernatural thriller introducing Cadet Jack Walker and the rest of an extra-select special-ops team. Due to an unfortunate set of circumstances, we will not have copies of Two and Twenty Dark Tales available at today's signing. We will, however, have bookplates for the authors to sign for fans who would like to purchase the books when they arrive. We encourage you still to come and hear these great authors speak about this collection! Editor Georgia McBride has developed a reputation in the YA community through YALITCHAT.org, a non-profit organization she founded in 2009 to promote young adult literature worldwide. Two and Twenty Dark Tales was conceived to collect “dark and twisted retellings of Mother Goose rhymes … done in a positive way.” Contributors Nancy Holder, Gretchen McNeil, Nina Berry, C. Lee McKenzie, and Suzanne Lazear will talk about what inspired them to choose the rhymes they selected for their stories. Nancy Holder is a LibraryThing Author, an author who lists their personal library on LibraryThing. Nancy Holder's book Gaslight Gothic: Strange Tales of Sherlock Holmes is currently available from LibraryThing Early Reviewers. Nancy Holder's book nEvermore! Tales of Murder, Mystery and the Macabre was available from LibraryThing Early Reviewers. Nancy Holder's book Expiration Date was available from LibraryThing Early Reviewers. Nancy Holder's book Out of Tune was available from LibraryThing Early Reviewers. Nancy Holder's book Dear Teen Me: Authors Write Letters to Their Teen Selves was available from LibraryThing Early Reviewers. 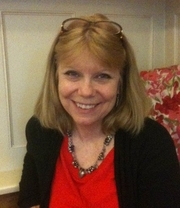 Nancy Holder is currently considered a "single author." If one or more works are by a distinct, homonymous authors, go ahead and split the author. Nancy Holder is composed of 2 names. You can examine and separate out names.